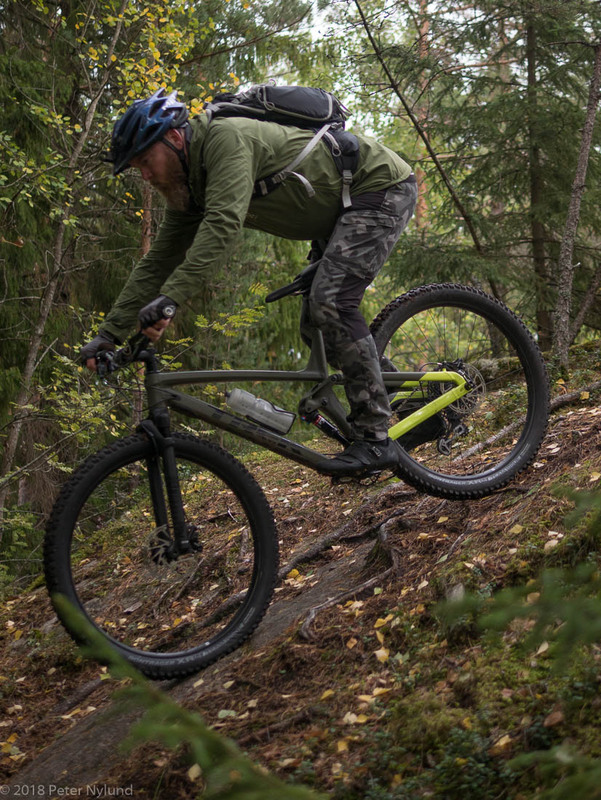 I got the Full Stache in the end of July from Nummen Pyörä and have now had three months on it and therefore have some experience with it to back up my opinions with. 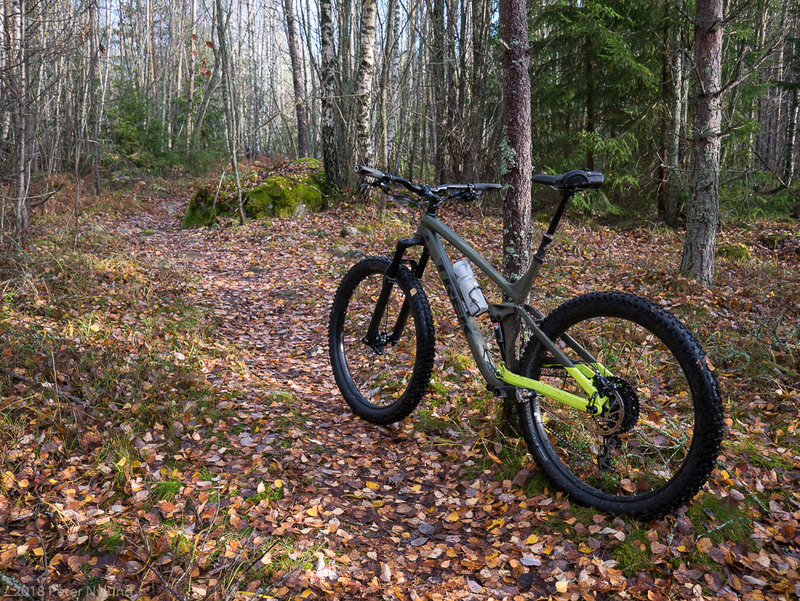 I've ridden our typical trails in Turku, in the beginning in very dry conditions, but lately on wet and very slippery roots and rocks. 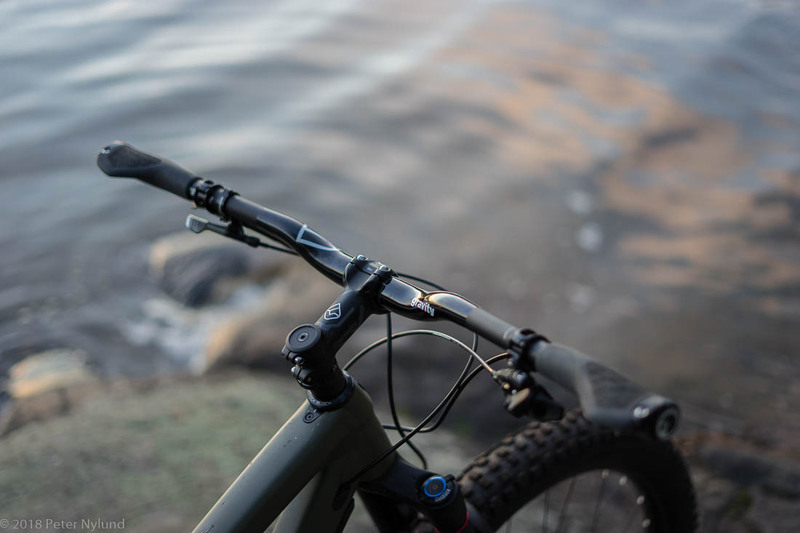 As I wrote in the first impressions, I think Trek has made something rather unique here and there are only few other bikes that could be considered similar: Lenzsport has a 29+ bike in the US and the Finnish Pole Machine is something rather extraordinary. The Lenz Behemoth 29+ was never an option for me since getting a quality US handmade bike to Finland would definitely be too expensive. And the geometry doesn't seem right for me either. The Pole Machine, on the other hand, is a very desirable bike. It would be the obvious choice if we had lots of downhill sections where I live. 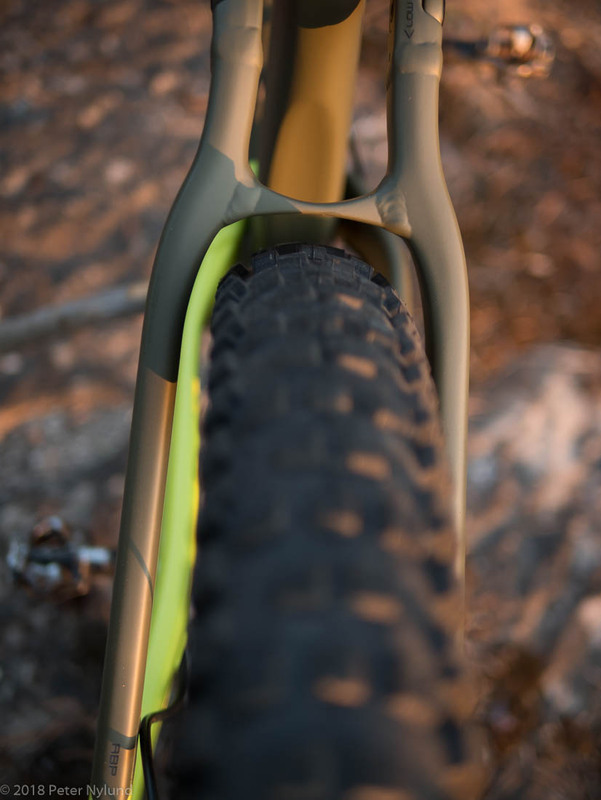 With the 29x2.8 tires, 180/160 mm suspension and the long, low and slack geometry it would be unbeatable on the descent. The price is also in a class of its own, and while there are good reasons for the price, it is too expensive for me. 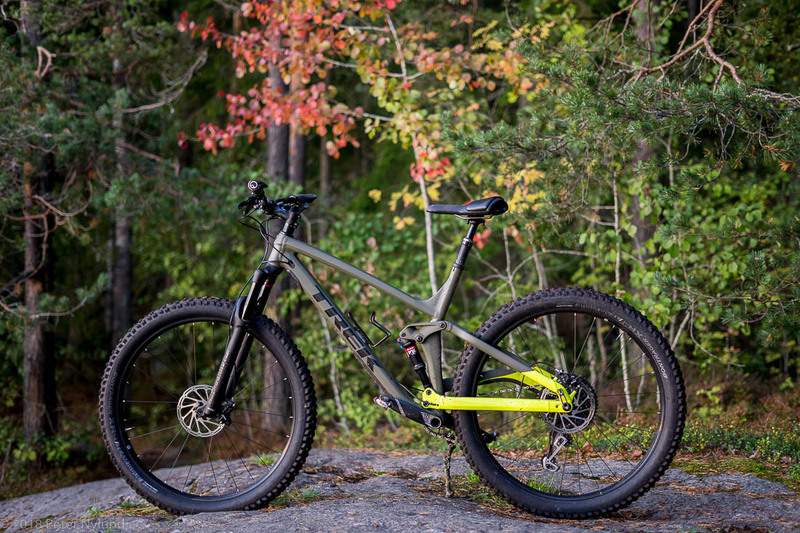 Enter the Full Stache: A trail oriented FS 29+ bike with a pricing that is more available to most people. The details are mentioned in the first impressions post and I won't repeat the here, with two exceptions. The 60 mm stem it came with was too short for me. Currently I have a 90 mm stem mounted, and while it feels great, I think I will settle for a 80 mm stem with a slight rise. 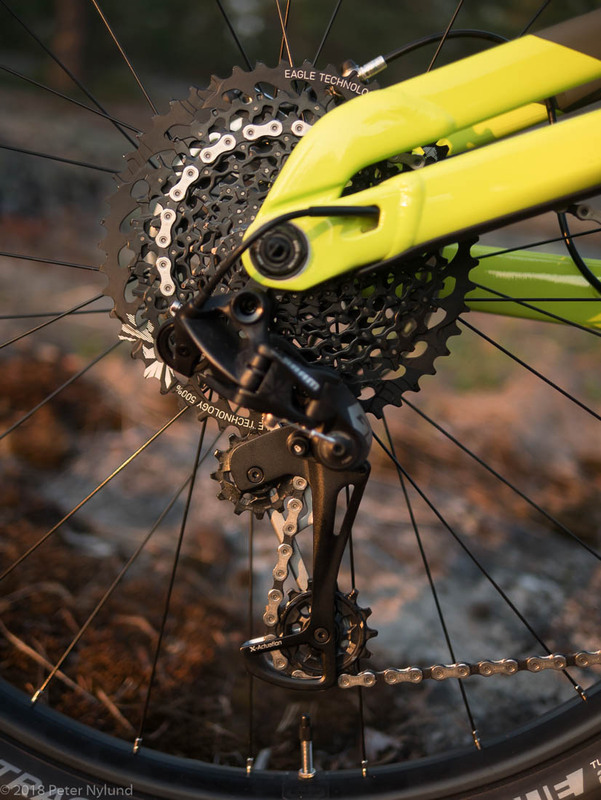 I had some problems with the gears and was ready to condemn the 12-part SRAM GX Eagle as development having gone too far, especially since the SRAM 11-part GX (and NX) gears had been so excellent on other bikes in the family. I finally found the problem, though. The chain was too short with 110 links and behaved very badly when using the two biggest gears of the cassette. A new chain with 116 links worked perfectly. Some forum riders (forum riding is a different genre that riding in the terrain) have complained that the rear triangle of the Stache is too flexy. I do think that some flex can be noticed in certain circumstances, like when doing really slow and technical terrain, but it hasn't bothered me at all. A little before taking the bike to a first service, I noticed some chain rubbing when going downwards and having left the lightest gear in, but after the rear wheel was trued the rubbing stopped. 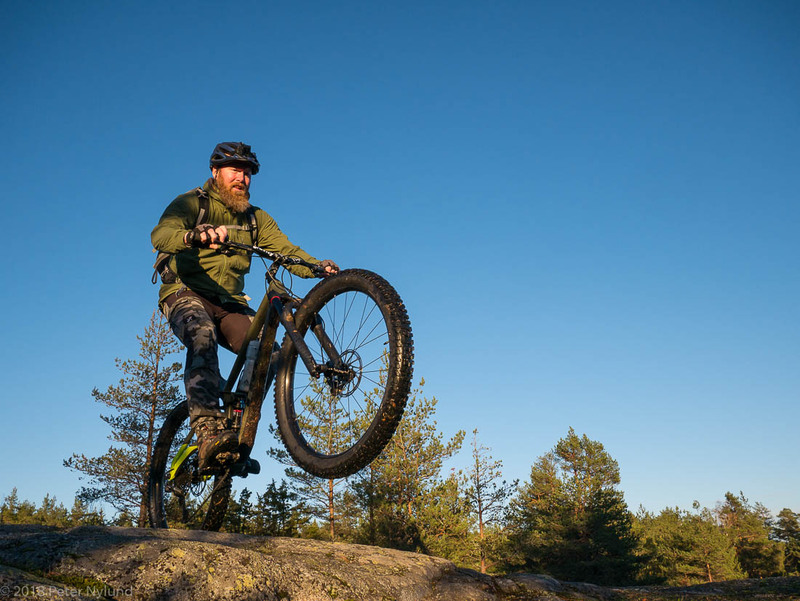 There was one instance in Finland where a rider couldn't get the flex sorted out, but all in all, I don't consider the flex to have any relevance for me. 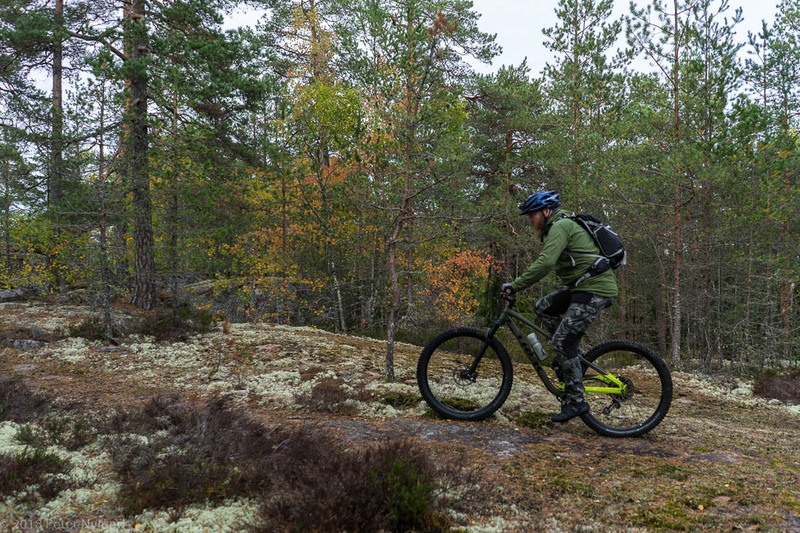 The bike is excellent to ride on the technical trails of southwestern Finland. We have no long uphills or downhills, but rather a landscape with roots, rocks and a constant up and down with small elevation differences. 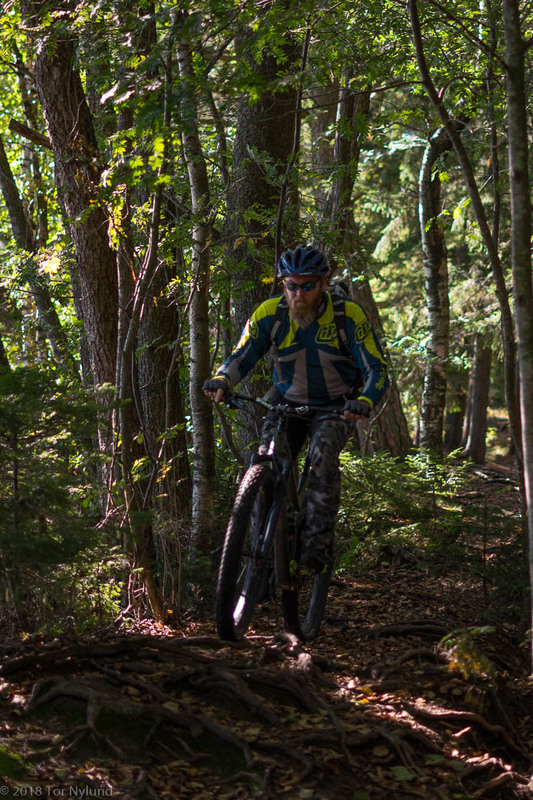 The Full Stache is perfect for this and is very agile, a distinctive advantage on our trails. 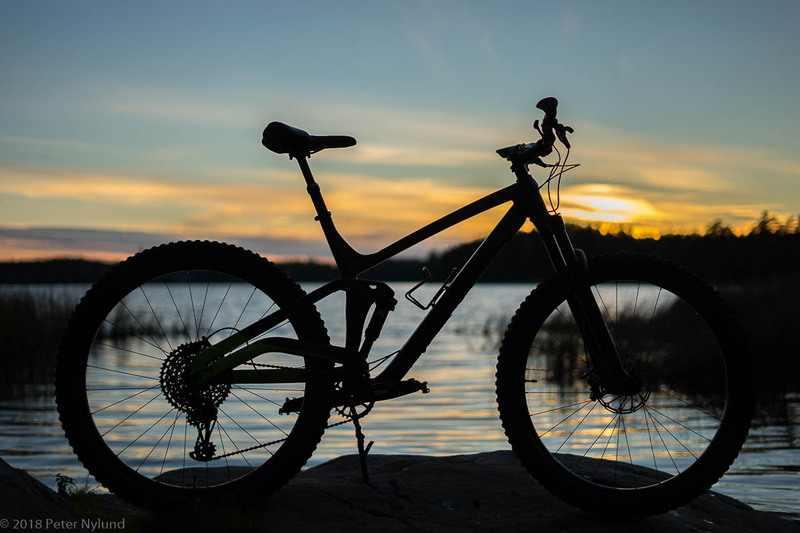 It is also very nice and fast going downhill, but it is no downhill bike looking at the geometry. It eats roots and rocks for breakfast. The big wheels roll over everything and the suspension, especially in the rear, is very reactive and plush. I've come to appreciate the dropper post a lot. Fully extended it gives full power to the legs for climbs (the Full Stache is the best climber I've ever had, despite it being a bit heavy), dropped a little it gives stability on flat terrain and going down it can be dropped to be out of the way, which is especially important when you have a wide and comfortable saddle like the one I use. I don't know what more to say about the bike. It is just such an excellent bike, full of fun and capabilities. I expect the non-snow riding season to end soon. This far the fall has been unusually nice, and only the deepest mud holes are wet, but the if the fall rains haven't yet started, they do start in November. 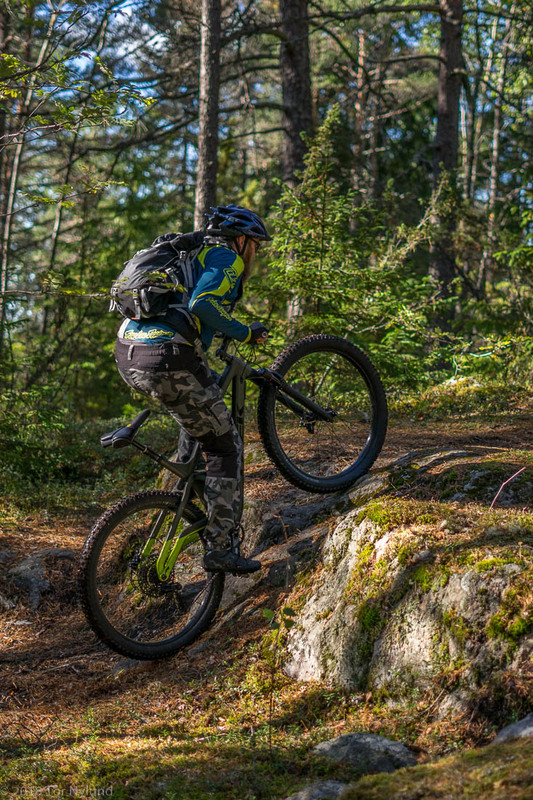 I don't think one should ride when the terrain is saturated with water, since that causes a lot of wear and damage to the trails.